Red Lobster’s newly, redesigned atmosphere, inspired by Bar Harbor, Maine, is the best place to go to experience fresh, delicious, top-quality seafood at a good value. 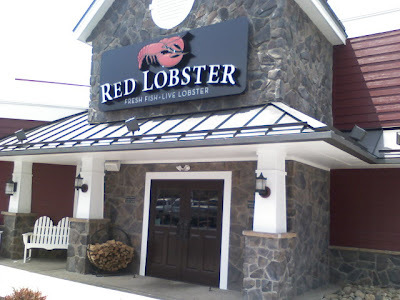 Nearly 700 Red Lobster restaurants across North America will be redesigned over a five-year period with 51 remodels planned by June 2010. The Bar Harbor design creates a warm, inviting seaside atmosphere and builds on the many improvements made inside the restaurant over the last several years -- from the debut of an award-winning Today’s Fresh Fish Menu to bringing guests more culinary-forward items prepared on our signature Wood-Fire Grill. Recently my husband and I had a chance to re-visit the Wilkes-Barre Red Lobster and what a noticeable difference! Previously this location was decorated in light blue, green, yellow and red hues, and now you walk in to warm browns, tans, and blues. I am a big fan of the new diresction that Red Lobster has taken. The walls have nautical flags in frames and lighthouse photos. My husband is a big fan of light houses and we even have a nautical room in our house, so it was a treat to visit this location with it's new look. On top of the great new look, the food was as delicious as ever. I had a chance to order my all-time favorite food - King crab legs. It is definitely a splurge, but it was well worth it! WIN IT: Two of my readers will each win a $10 Red Lobster Gift Card, so you can check out their new look for yourself! "Red Lobster Gift Card Giveaway @melindajoy926 here: _____(link)_____"
A big thanks to Red Lobster and Edelman for this review opportunity! My son loves Red Lobster. I love Red Lobster!!! I am a follower!! I went to the newly renovated Red Lobster recently and loved the changes they made! Luv Red Lobster...haven't been in ages, thanks. I follow on face book we love red lobster. my son always wants to go there . I also sent to 5 friends. I'm pretty sure that's a picture of snow crab, not king crab. 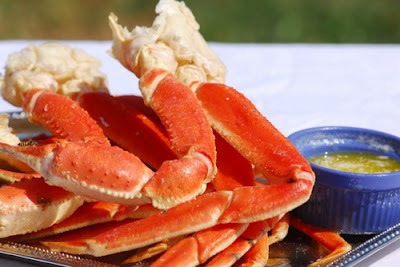 But snow crab is pretty good, too! I already belong to groupon, does this count as an entry? It doesn't get any better than Red Lobster. Seafood lovers make a trip there and you'll never go any where else for your shrimp, crab and lobster (and of course other delicious meals), and who can beat Cheddar Bay Biscuits? Yumm! My family loves Red Lobster! 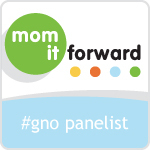 I am following you on Facebook! Thanks! My kids (6 year old and 22 month old) LOVE Red Lobster! Thanks for the reviw and giveaway. It's been a while since we've been to Red Lobster. I too love the Nautical theme and will have to check out our Red Lobster to see if they have redone ours. Love the idea of framing the nautical flags since we make signal flags and have done this ourselves. Bet that it looked good in there. Love your blog.